I am adding a new feature on a Wednesday. A glimpse at what I drink at home and other unsavoury places. 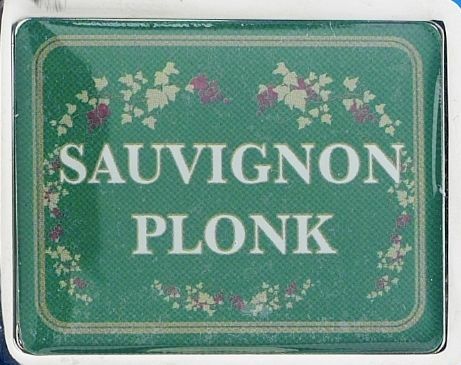 I am not a wine snob, nor can I be considered a connoisseur, but I have a fair idea of what’s ‘plonk’ and what’s not. In other words, I know what I like to drink. My general criteria for buying wine is the price; I don’t have stacks of money being an impoverished English teacher. A bottle may take my fancy, it may be the colour of the bottle or the label, I’m a label buff. Being an artist, both in oils and graphic, I have a sense of design. 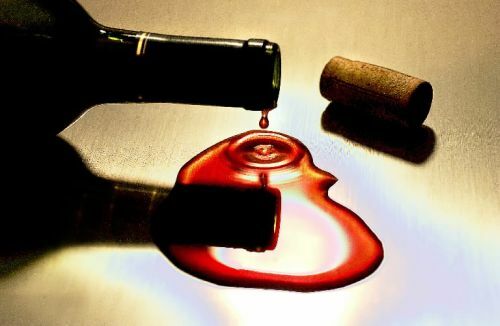 Wines will inevitably be dry, or demi-sec, but not restricted to, they may be either white or red; but one thing is certain, they won’t have a screw-on-top. A screw-on-top is a ticket straight back to the shelf without further consideration. I live in Brazil, a country that, sadly can produce neither an acceptable beer nor a great wine. But Brazil is fortunate in that it has good neighbours like Argentina and Chile. Then there are also European and South African wines readily available. So, come and check out Wednesday Whine with me… on Wednesday. This year I made a startling discovery. Well, good, because I don’t. It’s cheap and slovenly. It was bad enough when ‘fizzy wines’ had those obnoxious white plastic stoppers instead of a wired cork, but the advent of screw-top wines is just going too far. I got caught. I bought a bottle of Brazilian wine, a brand I have known in the past and liked, it wasn’t until I had chilled the wine and went to drink it a week or so later that I discovered it was a screw-top. I don’t usually make New Years Resolutions, that way I never disappoint myself. But this year I am: a personal crusade against the trends in the wine industry to cheapen and degrade their products. 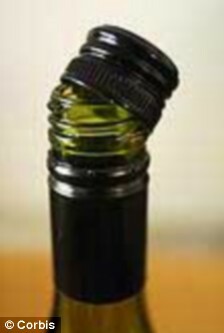 If your wine has a plastic stopper, a screw-top or a synthetic cork, it won’t fall into my shopping cart. Now I am not a sommelier, nor even a connoisseur of fine wines, I am a normal person who enjoys good plonk. I don’t buy $3 wines, nor do I buy wines over $30. I live in Brazil but I rarely drink Brazilian wines, preferring by far the neighbouring Argentine and Chilean products, even the occasional Bolivian from the Tarija region is acceptable. But I refuse to accept any wine that does not have a bona fide cork. It is time that wine-drinkers stood their ground and made the companies realise that you’re not going to accept a shoddy product. I urge you all to refuse to buy a second rate stopper, or better still, write to the company and tell them why you didn’t buy their wine. In this day and age, it is easy enough to communicate with a wine company by email and it takes all of a minute of your time to do the rest of the world a great service. Here’s how… Fry off pork cubes, healthy squeeze of garlic sauce, double healthy squeeze of soy sauce, pinch of black pepper, salt to taste, chopped tomatoes (fresh from garden), generous double pinch of chopped parsley, one small jar of tomato extract, one small box of cream. stir, serve, eat. 15 minutes in the making. If you want to get fancy serve on spaghetti or rice. If you want to get really fancy, open a bottle of plonk – red or white who cares when you dine alone.